Geranium Gin is very mild an floral London Dry Gin. It combines the classical herbal taste of juniper with the floral taste of geranium in a very balanced way. A surprising ingredient we normally know from gardening. 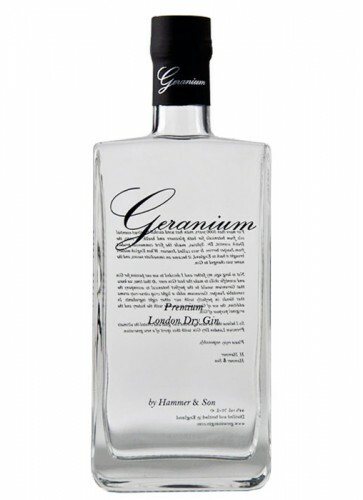 Geranium Gin is very mild an floral London Dry Gin. 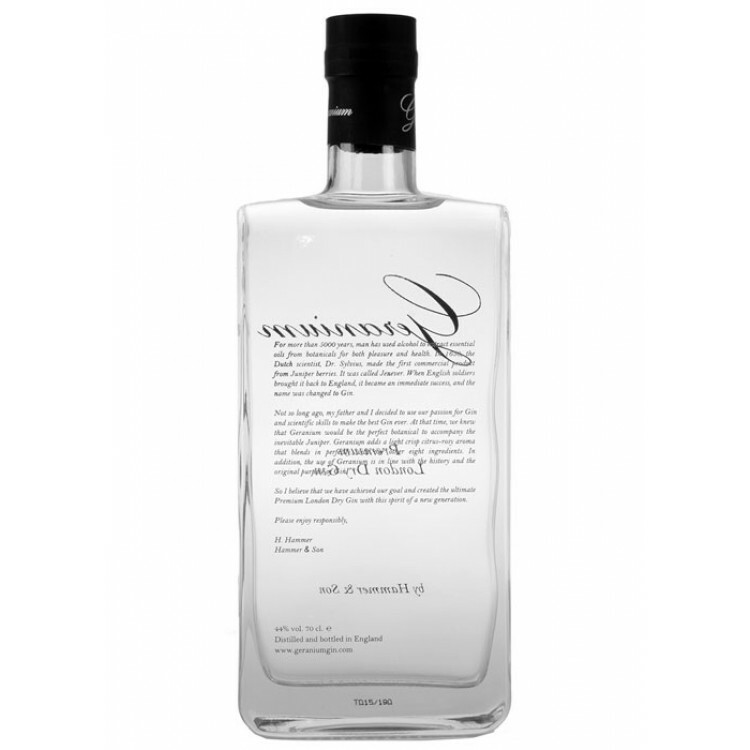 It combines the classical herbal taste of juniper with the floral taste of geranium in a very balanced way. A surprising ingredient we normally know from gardening. This Gin is a London Dry Gin, which means that all 10 botanicals (juniper, geranium, coriander seeds, lemon, orange, licorice, cassia, angelica, orris root and 1 secret) are distilled at once in a neutral grain spirit. The production of the Gin takes place in the U.K. (Brimingham to be precise) in a copper pot-still that is over a century old. 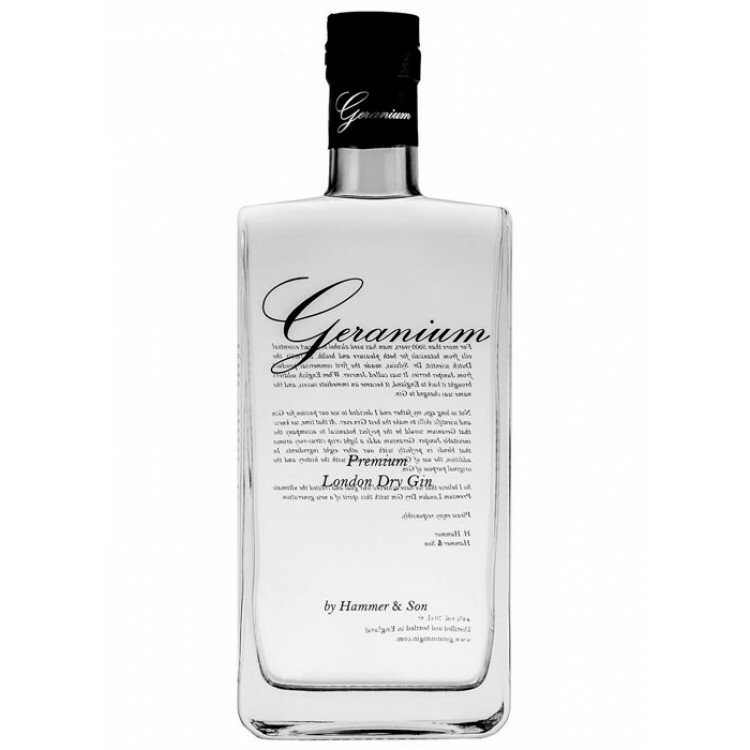 Overall we recommend Geranium Gin to people, who are looking for a mild, feminine Gin. Geranium in a Gin, what is it all about? Henrik Hammer, the master distiller, got aware of geranium as a potential botancial for his Gin because of the smell from the leaves. It is almost like a Gin and Tonic itself. Besides that, geranium has been used for centuries for healing purposes and chefs use it for flavouring food. So the history and the usage is very similar to juniper. 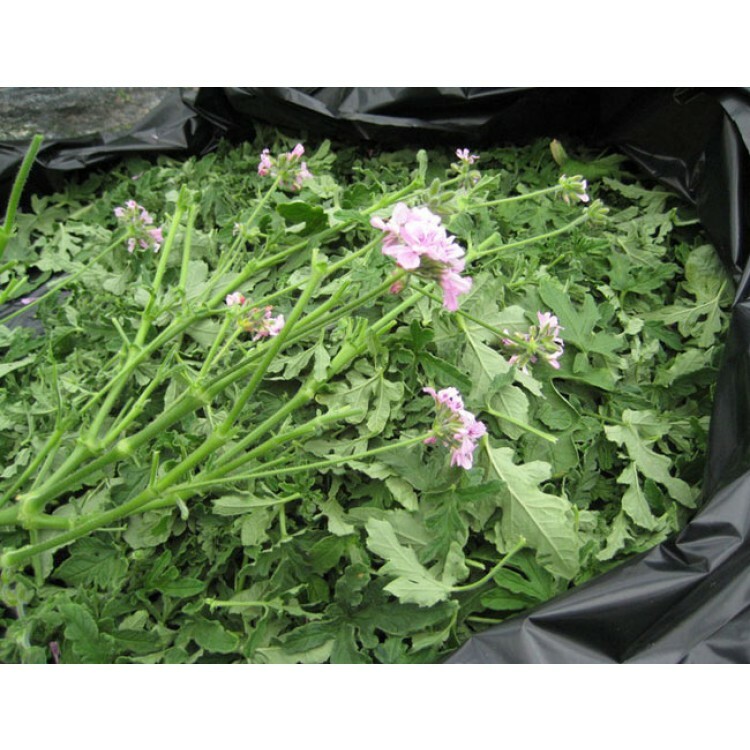 When he made the chemical analysis of the plant, he found out that the significant oils in geranium (geraniol, geraniol formate, linalol, rose oxide, citronelol) are as well present in most fruits, vegetables and spices. And geranium is being used together with the main ingredients in Gin (juniper, lemon, coriander, angelica) in the therapeutic world. Therefore geranium did a theoretic good match with both Gin and wide variety of the mixers that bartenders uses today to make new and exciting cocktails. The challenge was now to get the oils out of the geranium by distilling it in alcohol (normally the oils are extracted by vapour/steam pressure) to be able to end up with a London Gin. Fortunately his father was a chemist, having worked with essential oils for the perfume and food industry in decades, He supported him experimenting with the botanical and after a few weeks they managed to find out how the geranium should be processed, matured and distilled to get the oils out that they needed. 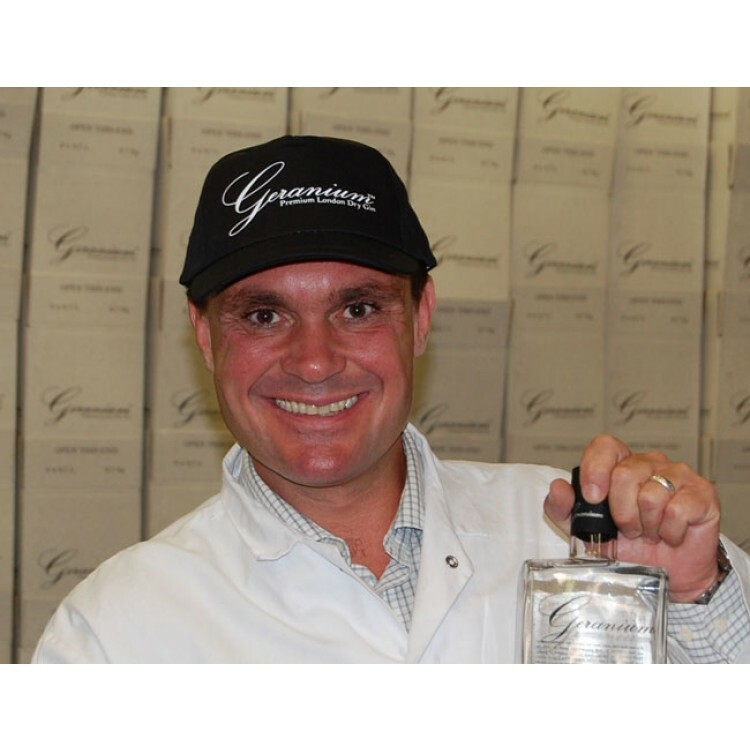 The final recipe they have made provides the Gin with different tastes and flavours depending of which mixers are used. Due to the abilities of the oils mentioned before, Geranium Gin is also called the "chameleon" in the professional bartender world. The nose of Geranium is a soft mix of juniper and floral notes, clear but not overly intense with no suggestion of alcoholic heat, which finishes on a subtle hint of citrus. In the mouth a strong juniper flavour is followed by a sweet rose and violet. The juniper emerges once again, at the finish along with citrus and floral notes + a pleasant hint of bitterness as the over flavours fade. Overall, it is a complex, interesting yet balanced taste. The additional flavour components adds to the traditional flavour profile, rather than overwhelming it.